You can go ahead and save that photo of you as a baby in a fedora for next week, hun, because Weezer has already dunked on your #ThrowbackThursday so hard. 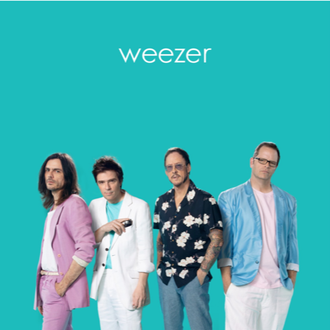 At midnight on Thursday morning the band suddenly released Weezer (The Teal Album), which includes ten tracks of covers and a photo of the band all dressed up and ready to attend your college fraternity’s ’80s night. The band was inspired to release a cover album after their cover of Toto’s “Africa” proved to be a huge success. They’re not permanently becoming a cover band, though, so you can stop fantasy wedding planning right now. Weezer (The Teal Album) is just the precursor to an album of all original songs called Weezer (The Black Album) that is set to be released on March 1, with a tour alongside the Pixies starting later that month. SNL’s Dinner Party Descends Into Madness, Courtesy of … Weezer?